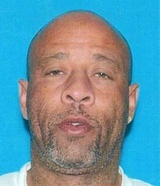 Terence Ray Mayeaux, a 46-year-old black male, died Sunday, Sept. 14, after being stabbed in West Compton, according to Los Angeles County coroner's records. Do you have information to share about the life of Terence Ray Mayeaux? The Homicide Report needs your help. E-mail us at homicidereport@latimes.com. — will till April 24, 2015 at 7:45 p.m.